Sore Eyeballs - Headache, Pain, Feels Bruised When touched! Sore eyeballs may cause a lot of irritation. It depends on how severe they are. There are a number of reasons as to why this can happen. Mostly, it includes lifestyle tendencies. Sometimes, eye conditions or allergens could be the reasons. In this article, you will come to know about everything you need to know on sore eyeballs – their causes, the ones which are sensitive even to touch, bloodshot or bruised. Sore Eyeball – What Is It? Dry eye syndrome can be associated with sore eye balls. Mostly, if the pain is caused due to soreness of eyes, it will disappear by its own. If it doesn’t, chances are that it will become persistent and then there could be a serious problem. There is a gritty or itchy sensation in eyes if you have a sore eyeball. Along with this, there can be several other discomforts affecting eyes which include the eyelids as well as the mucous membranes. Itchy eyes or allergies: If an allergic reaction makes you tear up many times in a short span of time, it leads to temporary dryness of eyes, eventually leading to soreness of eyes. Moreover, for various eye drops, the drug inside can be possibly causing the problems to eye’s cornea. Some also contain toxics leading to soreness of eyes. If you eyes feel sore even to touch, you might feel itchy and it could be because of allergic reactions as well. Medications: Diuretics and anti depressants can lead to make the eyes dry. With time, it will lead to soreness. However, it is important to understand that these drugs will not cause any harm to the eyeballs, but what will happen is a reduction in proton inhibitors does. Many people tend to take random medicines to reduce irritation in the eyes. Even this can lead to soreness of eyes. Over use of computers: When you’re constantly working on the computer, you tend lose the blinking time. Because of this, your eyes become sensitive to light and it causes soreness in the eye. This kind of discomfort can be noticed when you look away from the screen. The best way to take care of this is to take timely breaks while working. You should also make sure that your device’s light is kept on a minimum or it isn’t too bright. Headache, trauma and sore eyeballs: Along with these, there will also be a considerable pain in the eyes. Over consumption of alcohol leads to water deficiency in body. This also happens when you smoke a lot. Due to that, your eyes will become dry – one of the most important factor that causes irritation, soreness and dryness of eyes. In case of trauma, eye damage is caused. It depends on how severe the injury is to know how much sore eyeball muscles you’ll have. It happens more when an excessive force is applied. Along with the muscles it may also cause some other internal structures to get affected. In the worst case scenario, the muscular ligaments might get trapped in between bones and it results in headaches or sinus pains. If this happens, immediate medical attention should be given. Ulcerations in cornea: This leads to an infection in the eyeball. It makes one feel that there is some particle present in the eye. If it gets severe, it can cause corneal ulcers. If this happens, you need to immediately show it to a doctor for quick treatment. Abrasions: If a foreign particle/body scratches the eyeball, this will happen. Even the smallest scratch will be extremely painful when touched, but it will on its own with time. If not that, there are always antibiotics to help heal faster. However, there could be some other cases as well, where touching the sore eyeball many not seem certain. That is, in case your eyeballs feel sore, there is a chance that it is not related to it. When the eyelids get infected close by the hair follicles, a stye is developed, which leads to soreness and pain and many may assume that it is due to the eyeball. It’s not true, as it is happening on the outside of the eye. For many cases, the eyeball will be bloodshot. This happens if there is a direct damage to that particular part of the eye. The reason here could be due to some chemical burn if the eye gets exposed to bleach, or other such household cleaning products. During any function, eyes can also get flash burns if they are not properly protected. One needs to be careful even when using tanning beds. 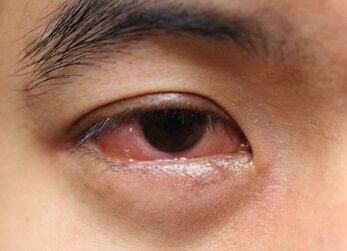 Sore Eyeball can cause red or bloodshot eyeballs making them sore. Contact lenses – people who use them need to take utmost care. Even they can cause red sore eyeballs. They contribute to abrasions and hence one can never be too careful with them. Rubbing eyes vigorously while wearing contacts should be strictly avoided. Any trauma on eyes leads to eye injuries, resulting in eyes swelling up. A blunt trauma can also cause bruising of eyeballs. If it’s excessive or extreme, serious damage to other internal organs can happen. In the mornings, sore eyeballs tend to feel gritty and sandy, along with dryness of eyes for older people and those suffering from diabetes. This soreness is accompanied by some foreign sensations, mostly. It makes it red and itchy. Eventually, the person’s eyes can feel worse especially if they are working on computers due to a reduction in the blinking rate. As mentioned earlier, sore dry eyeballs are due to dry eyes. Ironic to its names, dry eyes can water more, at times. It happens when there aren’t plenty of tears to keep them properly lubricated. Or, if the available tears fail to spread through the eyes, this can happen. It mostly results into irritation and dryness of eyes. 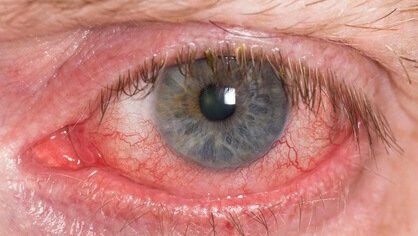 Itchy, red, sore eyes can be because of excessive rubbing, which is mostly caused by allergic reactions or eye infections. Even contact lenses can cause this. If your eyes are dull and have pain, you have strained them. It will go away when you take proper rest. If it doesn’t, the problem is serious and you need to see a doctor. Direct eye trauma can also cause this. It will heal with time. Some time, due to some other ailments, this can happen. Even a viral cold can lead to this because of a viral conjunctivitis. It should be checked or else it can cause some permanent damage to the eye.